What to do when – No one is in your chat? How to bait viewers to talk? Twitch viewers are passionate so can you! Why you should always think there is people watching? Are you wondering how those big streamers always seem to have something to talk about when they stream? They actually have trained in the arts of talk to yourself or the viewer who is watching later on. This skill is really important to master when you want to improve your stream. Empty Twitch chat is really horrible.. I know! Gael Level is going to share you some amazing tips that he uses in his streams all the time. – Hey guys, Gael Level here and today we’re going to be discussing how to talk to yourself and also to your audience when you’re live streaming. So if you guys have been watching the channel for awhile now you know that I’ve said this so many times, keep talking, keep talking. It’s like my top advice to live streamers. If you want to keep the stream entertaining, the best thing you can do and the easiest thing you can do is keep talking. That way you will entertain people that just stop by your stream and you’re already talking so it’s already entertaining. You will entertain lurkers that have your stream in the background so it’s not just your music playing. You will also entertain people that are active in chat. And if no one is active in chat, keep on talking because you have those two other people, the lurkers and the people that just stopped by. So let’s start with the first scenario. Let’s say that no one is in your chat. Your that kind of streamer who gets 20 minutes where no one is going to say anything in chat. It still happens to me to this day. Now how can you keep talking if no one is talking to you? Well I have to say, it doesn’t come naturally. It’s something that you will have to practice but you do need to do it. So if you watch couple of videos like that you probably heard people say, oh, describe what you’re doing in game, describe what you’re about to do, describe all your thought process in game. That is 100% true but I don’t like when people only talk about the game they’re playing because it doesn’t really show their personality. It really just talks about the game and everything is focused around the game. I often say that no one really cares about the game if you’re small streamer. Usually people watch streamers with a low view number so they can interact, so they can connect with that person. So my advice is of course, you can do that thing where you describe what you’re doing in game but my personal technique is to bait people into talking. I am personally addicted to people interacting with me in chat and I feel like my stream is not going well, even though I know my lurkers are entertained but a good indication of a good stream is when people feel compelled to talk to you, to type those words and press enter and interact with you. So I will bait lurkers and also newcomers into speaking to me but without doing it directly. Basically I’m not gonna go like oh, how are you guys doing? That never works. That literally never works unless you have regulars that are already interacting with you or really used to that kind of stuff and know that you actually care. Streamers really don’t care when they say oh, how are you guys doing? They don’t care about how you’re doing. They don’t know you. They’re just being bored and they’re trying to get some interaction. It’s not a bad thing. I’m not saying stop doing that but there are better ways. So other than talking about what’s happening in game, I will often just talk about whatever by myself. Keep in mind, we’re still in the scenario where no one’s in chat. So no one’s in chat and you’re talking. What I would do is just try to start with the game and then go on pop culture in general. I will talk about the latest movie I’ve seen. I will talk about music that I listen to. And there are several points that will make a normal person want to chime in, want to jump in and talk about it. And that’s how you basically make new followers. ‘Cause if a random just pops in your stream and you’re talking about something that most likely they know about and they have opinions about, they will feel compelled to type their opinions and share it with you and then boom, you created a link and now people are talking in your chat and your conversation with that one person will bring in more people. So some of those different things that will make people want to share their opinions and stuff is personal experience. If you’re talking about a personal experience, and you can mix all of them together but if you’re talking about a personal experience you’ve had with something loosely related to whatever is happening on stream or you’re just telling a random story in your live, people will find little things in those stories that they can relate to and maybe they will tell you about their personal experience whether it be, it doesn’t have to be, alcohol, oh I went partying. No, it can be anything, literally anything. You can talk about your school and how you used to be treated or if you’re still in school or how you’re being treated, how you’re dealing with schools, exams and stuff like that. If people can relate to any of what you’re saying they will talk to you. So personal experience is a big one. Another one is controversial or unpopular opinions. When I know that I have unpopular opinions about stuff I always talk about them. I’m always talking about them just to bait in a way, just to bait people into sharing their opinions about the same subject so we can have a discussion and then little did you know, now your chat is active because a lot of people maybe don’t agree or you opened some sort of debate. Now when it comes to opinion, if your opinion is based on discrimination, being overly judgmental, prejudice or just racism and sexism, just keep it to yourself. That’s not the type of stuff, or religion, politics, that’s not the type of stuff I’m talking about okay. When I’m talking unpopular opinions, me for example, I really enjoyed the movies Star Wars Episode Seven and Rogue. I also was quite entertained by the Solo movie. Those are movies that are widely known to have very, very bad critics. A lot of people hate those movies. People have been online even saying that oh those are the worst movies ever made. I enjoyed those movies. So if I’m streaming and no one’s in chat, I will gladly talk about those movies. I will say my favorite parts, I will also talk about the parts where I agree oh this wasn’t too good but overall I think it’s a good movie. I will even exaggerate, don’t lie because you’ll be caught in your lies but try to expand everything. You take a little subject and you expand it like crazy. So so far we have personal experiences and controversial or unpopular opinions. And people love debating online. So unpopular opinions are a great, great way to bait people into talking to you in chat and boom, you get an active chat out of that. Another point would be comparing stuff. I love comparing stuff. That’s very vague of a sentence but I really love taking one thing and comparing it to another because most likely, of course, we’re still talking about popular stuff because most likely whoever’s stopping by your stream knows about one or the other and if they know about both, they will either agree with you or disagree with you. If they think one is better than the other and you think the opposite and stuff like that. I really love comparing whatever it is. One popular, well it’s not popular but one comparison I really love making is between Star Wars, yeah, we’re back to Star Wars ’cause that’s what I lean on on the internet, is Star Wars and the Halo collection, the Halo series, the Halo franchise and video games and how with four Halo games, well actually six Halo games and seven episodes of Star Wars are pretty much told the same way. The story is told pretty much the same way, the fact that you have some events and then three prequels came out and then some stories that don’t necessarily have to do with the main characters that we all know and love. So this is kind of, I don’t know if I’m gonna keep all of this in there but this is kind of a comparison that I’m talking about. You take two pop culture references, iconic references, and then you compare them. Say I prefer this, I prefer that, whether you’re comparing video games, you’re saying your top five video games, your favorite video games and then someone will be like, whoa, the winter is the best video game ever made and stuff like that. That happens to me all the time. So personal experience, unpopular opinions, comparing stuff to stuff. And then another point is one I love to use because people that are on Twitch are very passionate. It’s not only about video games but if you’re playing video games, use this passion. I see a lot of people in their About Me panels, they state when they started playing video games. They’re like, oh, I’ve been playing video games since I was six and I’m always like who cares? But you’re truly showing your passion for video games in general. So use this passion and talk about it. Talk about everything I just said. Use all those personal experiences from when you were playing Crash Bandicoot on the first PlayStation. And then you didn’t have a memory card so you would play the game and then go to bed and leave the PlayStation running and then you would come back praying that your game was still there. True story, by the way. And then unpopular opinion, you can say, oh when I was playing Crash Bandicoot, a lot of my friends were playing Rayman but I wasn’t a fan of Rayman, still not a fan of Rayman. I think Crash Bandicoot is better. Boom, you did a comparison. And then you continue on that passion and then you talk about the other games you had on PS1 and then before the PS1, you actually had a Super NES and you talk about your experience with the thing you’re doing pretty much. And trust me, there’s so many people that are passionate about video games that they will come in your chat and they will hear you say that oh you prefer Crash Bandicoot compared to Rayman but they grew up with Rayman so they will tell you, oh no, I think Rayman is better and boom, you got people talking in your chat. You just successfully baited people into being active in your chat. Now something that I forgot to mention is that if you’re streaming and no one is speaking in chat you still need to act and conduct yourself as if 100 people were watching. This is where the keep talking comes from. If you think you’re affected, for example, by your viewer count, you need to shut it off, you need to not look at it, you need to not hide it from yourself. If it doesn’t matter, if you see a zero, you can still keep going with the same energy and keep talking, that’s fine, keep your viewer count up. Other little techniques that I would use is ask open questions but not direct questions. Don’t say, we’re going back to how’s it going chat ’cause people rarely respond to those things or what do you think chat. And things like that require you to kind of pause and wait for an answer. If you do that and you don’t get an answer, you’ll feel disappointed and the lurkers will see that. Try to avoid questions that you may not get an answer in chat. Instead, just casually ask for a question, I don’t know how to explain this right but if I’m playing a game and it’s my first time playing the game, I would ask questions. I would be like, well can I go there, can I go there? And then I continue. I don’t necessarily ask it to chat, like hey chat, where do I go and then I wait ’cause you’ll be disappointed. You’ll be disappointed if you’re asking questions like that. I would be like, oh is this, or I would ask things that chat can Google or if they already have knowledge about it, they will answer. I’ll be like, oh, was this made by the same company that made this other game? We’re already comparing stuff. Yeah, I will ask questions that I may not have the answers too but they’re open questions. So anyone who knows the answer can answer me. When I play indie games, for example, most of the time there’s a lot of speed runners that watch, or amateur speed runners that come in and watch those games. So I will ask details about the game while I continue playing. I don’t ask them and then wait for an answer. I just ask them openly and if someone knows the answer. If no one knows, no one answers, that’s fine. I’m already miles away from that question. So asking questions is kind of a form of, there’s a very specific way of doing it so it doesn’t affect your rhythm. Okay let’s say now that you’ve successfully baited, I love using this word, everyone into speaking in your chat and giving you their opinion and sharing their personal experiences and comparing stuff, now your chat actually has a rhythm, right. Your chat is either going super fast, everyone is speaking now, or it’s still going slow. You have to adapt to the rhythm of chat. If a lot of people are talking, you need to read what they say, give your quick answer and then move on. Otherwise, you’ll be lost in chat. You don’t want that to happen. Keep in mind I’m talking about actual conversations going up not people spamming emails for example. You don’t have to address that. So you need to be fast in order to address everyone, to give everyone a little bit of attention if it’s going fast. Now if it’s going slow, if it’s going very slow, you also need to adapt to that and be very slow. My technique is search and expand. My technique is search and expand and it’s also allow yourself to get sidetracked. So if someone says, if my chat is very, very slow and someone says something, I will take that thing and I will do an essay about it. I will talk and talk and talk and then interject those techniques that I told you about, personal experience, comparing stuff, unpopular opinions and nostalgia. If someone said anything that has to do with anything, I will completely expand it and make it longer than it actually needs to be. So that way me answering this one question or just responding to this one line of chat can give me 20 minutes of nonstop talking about something and expressing my opinions and it sounds crazy but when I said you need to let yourself get sidetracked is that if you’re starting to talk about this thing and then there’s one word that you can expand on another category, just expand it, continue talking. I don’t really have practical ways of showing you how it’s done. I guess watch my live streams and you will see that I pretty much never stop talking which could like, that’s why it hurts my throat in about two hours of streaming. But those are my personal techniques. I’m pretty sure there are a bunch of other techniques but this is what I do. If no one is talking, I bait them into talking ’cause people are always watching. Keep in mind that the Twitch viewer count, even if you have your viewer count, that zero doesn’t necessarily mean zero. I remember when I first started streaming, I would see zero for three hours and then when I check my viewer count it was like oh, 50 people actually stopped by. So it doesn’t update automatically, it doesn’t update fast enough for you to know when someone is for sure watching your stream or not. So you better keep that stuff entertaining the whole time just in case ’cause that’s how they become followers, that’s how they become subs, that’s how they become regulars and that’s how they might become your biggest support. Okay, so little info, I put out a free animated overlay pack. You’ll see the video on my channel, it’s probably the previous video to this one and it’s completely free. All you have to do is go to gumroad.com/gaellevel, find the pack, put zero in the price thing and then you just get it. It’s animated. And then after that, on gumroad.com/gaellevel, you’ll see a bunch of very, very cheap full overlay packs for like 99 cents. I’m gonna put some social media up there. You can tweet me a message @level_photo, you can follow me on Instagram, that’s gael.level and on Twitch of course twitch.tv/gaellevel. If you haven’t started streaming yet or if you’re using another program consider switching to Streamlabs OBS. I will have an affiliate download link in the description. If you use that link, I’m actually getting a little bit of money and charity is getting a little bit of money. So it’s pretty much the best way to support this channel and what I’m trying to do here. If you also want some updates, tomorrow I will be doing the second edition of Stream Review. 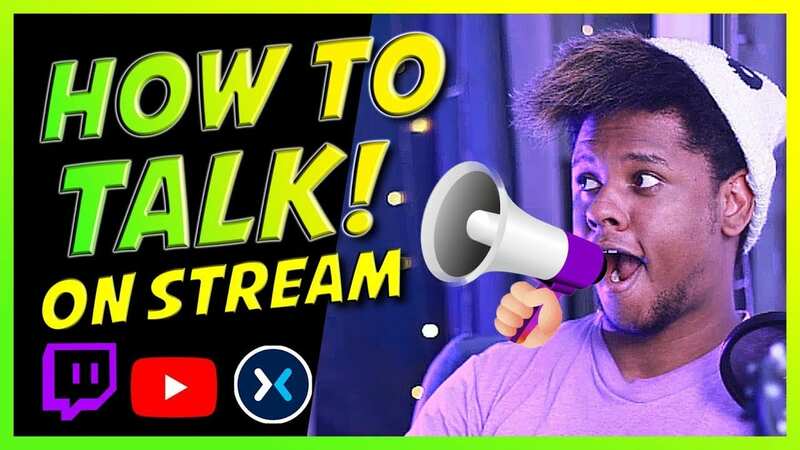 It’s basically a live stream here on YouTube where you send me your link, I go check out your stream and I tell you my first impressions and what you could do to make those first impressions look better. So I look really, really forward to that. The first one was amazing. So it’s gonna be hyped, it’s gonna be super hyped. But that being said, thank you guys so, so much for watching this video tonight and I will see you guys later. Gael Level, out.